Book your Taxi on 0800-6190575 . Pickup from Linlithgow station or the High Street . Text a Taxi on 07576-127097 to Midhope Castle / Lallybroch , or phone 0800-6190575 . Pickup from Linlithgow station or the High Street . 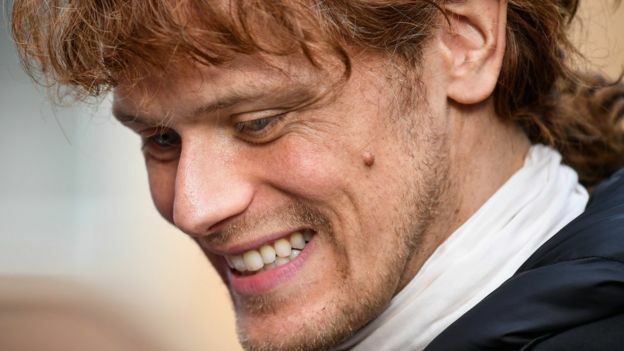 Outlander star Sam Heughan has headed for the hills in his latest TV appearance. He explains his love of the great outdoors to Cameron McNeish for Take a Hike on BBC Two Scotland. The actor, who grew up in Dumfries and Galloway, said it was a passion which had been with him as long as he could remember. He said that returning to Scotland to film Outlander had rekindled his desire to enjoy its countryside. “I was born and raised in a place called New Galloway, on the grounds of a derelict castle,” he said. “It was a great childhood. “I know I am very fortunate but I got to be outdoors all the time with my imagination and play a lot out there – I think that’s probably where my love of acting came from. The return to his homeland for his acting career took him back to those memories. 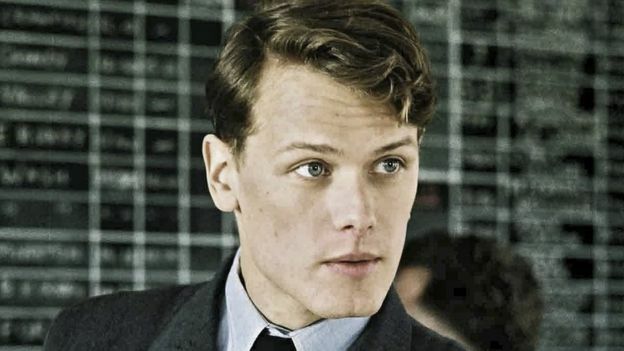 Where did Sam Heughan grow up? New Galloway lies on the west side of the valley of the Water of Ken a mile north of the end of Loch Ken in Dumfries and Galloway. 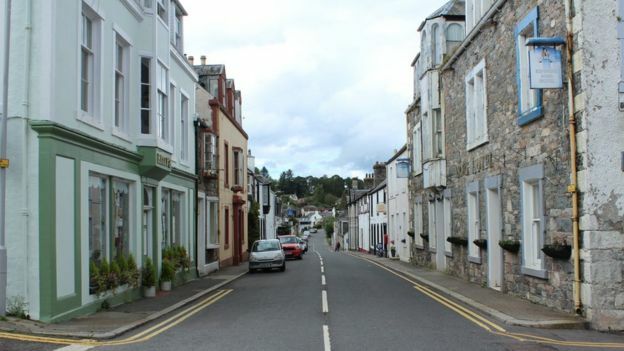 It is largely built around a single north-south High Street that climbs up through town and has a location on the edge of the Galloway Forest Park that gives it a “wonderful air of seclusion”. The town as seen today dates back to planned development by Viscount Kenmure in the early 1600s, followed by the granting of burgh status in 1630. But settlement in the area goes back much further with nearby Kenmure Castle fought over in the late 1200s. “I moved back to Scotland to shoot Outlander and go to all these amazing locations all over Scotland and it made me fall in love with the country that I knew from my childhood,” he said. His first climbing experience as an adult was not such a success when he slipped and fell on Ben Lomond. “I think the challenge of climbing is certainly a part of why I do it,” he said. “It’s like you’re an adventurer, you’re maybe the first person to ever be here and that’s what I love about the mountains. “You can get to them quite easily and before you know it you feel like you’re the first man to ever climb here. Take A Hike – A History of Scottish Walking is on BBC Two Scotland on 16 May at 19:00.